The first step in your skin care routine is a no-brainer: cleansing. After all, it's only logical that you should remove all the dirt and impurities sitting on your skin after a long day. 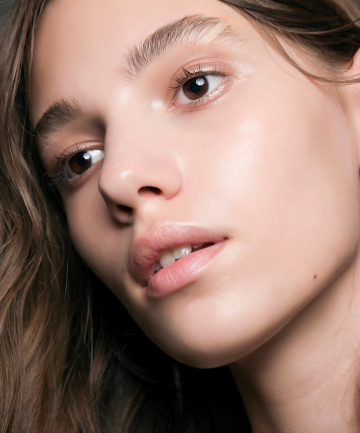 But with so many different face cleansers on the market, which one should you pick? Well, the answer depends on you — and your skin. Yes, all cleansers are designed to remove dirt and grime, but more stringent formulas may also strip off moisture and other natural oils that skin needs. Choose a formula that's too rich for your oily or sensitive skin and you could wind up with unwanted breakouts. With that in mind, it's important to know your skin type before delving into the wide array of cleansers out there — because your skin needs cleaning, not experimentation. Is your skin more on the dry side? Do you have a super oily T-zone? Or perhaps a combination of both? Before you buy a random bottle off the shelf, read on to learn the right cleansers for your skin type.